Our Private Walking Tours of Marseille Include: Services of your private tour guide, taxes, tolls and parking. Not included: Entrance fees to sites you decide to enter. Let Well Arranged Travel take you on a private walking tour of Marseille. You will discover, as you tour one of the most important and ancient cities in France: Marseilles. Built up by the Phoenicians around 600 BC (not to mention the Ligurians, its previous occupants), taken over by the Greeks in 540 BC, and conquered by the Romans two thousand years ago, this 2,600-year-old port is packed with sites and artifacts of antiquity. The city was known for centuries as the “Gateway to the Orient” because of its trading relations with the Middle East and North Africa. It’s a cosmopolitan, exotic and vibrant city, and you will tour Marseilles’ heart — the port – followed by the oldest neighborhood in Marseilles, Le Panier, with its narrow streets, squares and colorful façades. The neighborhood is also home to Saint-Victor Abbey, a very important place for the first Christians in Marseille, and Notre Dame de la Garde, a hilltop church that protects the people of Marseille – and offers an unforgettable view over the city. Ask Well Arranged Travel for other private tours from Marseilles. 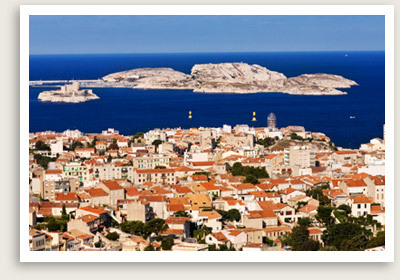 We have private shore excursions in and out of Marseille. Inquire on our private tours to Avignon, St. Remy, Aix. Private tours to St. Tropez or Cassis are available. Inquire on other destinations. We also design and arrange upscale custom vacations.